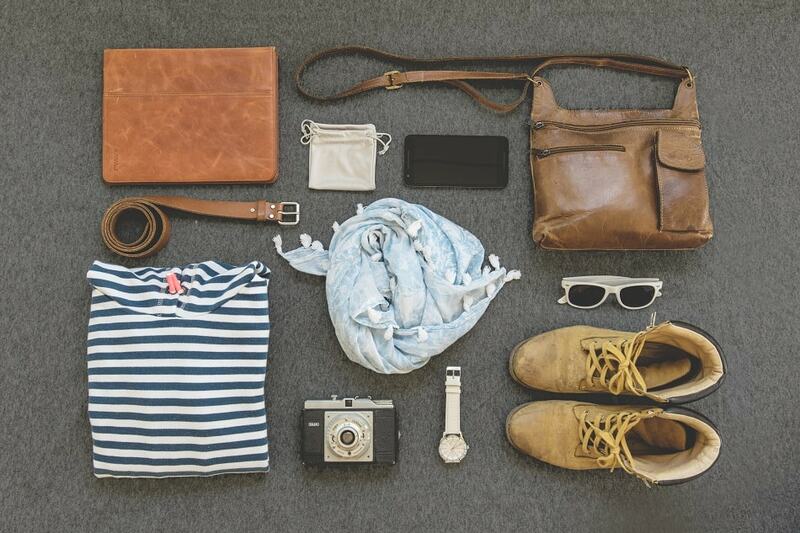 Home » Storage Blog » 10 top tips for getting the most out of your suitcase this summer holiday! Summer holidays are coming up, and with them comes the headache of packing. Just like choosing a storage unit, we know you’ll want to make sure you’re getting your money’s worth when stowing your belongings! Here’s how you can make the most of your space, and maybe even manage to leave a little bit of room for bringing back souvenirs. The best way to make the most of your suitcase is to make sure it’s lightweight. This instantly cuts down on the starting weight of luggage and means that more of the baggage allowance can actually be used for the contents of the suitcase, instead of compensating for the suitcase itself. It’s tempting to take everything you could possibly ever want with you, but it’s important to remember that you are only going for a short trip. 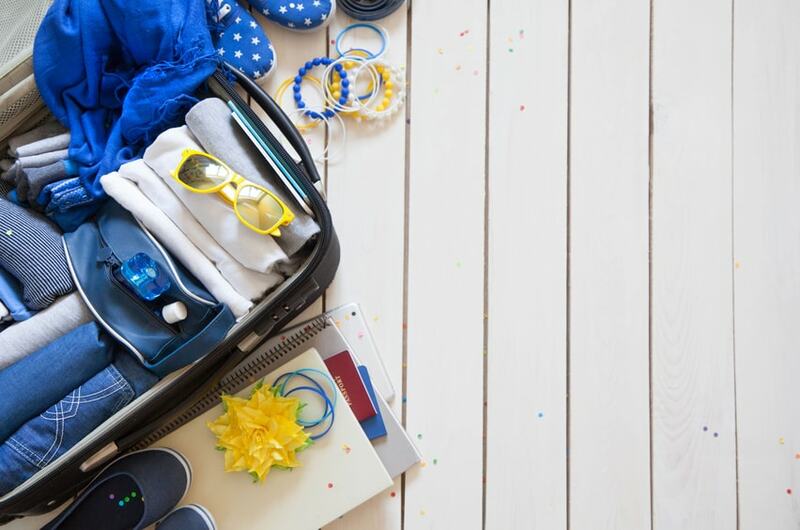 You should aim to use everything you pack while you’re on holiday so when you first decide what you’ll be taking, make sure to go through everything and take out any ‘maybes’ that couldn’t be a definite ‘yes’. This nifty idea benefits your holiday wardrobe on multiple levels. Rolling clothes not only reduces the amount of space that each item takes up, but also the wrinkles that they’ll get while packed. Also, by rolling, you’ll be able to lay out the items in a more compact way so you can see exactly what has been packed – like a little snapshot of each of your wardrobe pieces. We know you love those shoes that go so well with one particular dress, but it would be so much more space conservative to take items that match well with many other pieces. By choosing a selection of tops and trousers/skirts that match with each other in multiple ways, a number of outfits can be created, and space can be saved for new clothes to be brought back! There’s no use taking up valuable packing space by taking that thick jacket because you think it might be cold, when there’s nothing but baking sun forecast for your entire holiday period. Forecasts are changeable but it’s always good to remember that the possibility of buying emergency woollies or raincoats is an option! If you are determined to take that coat, or the very space-consuming sunhat, maybe wear it while travelling. That way, your case doesn’t fill up with bulky items, but they can still be brought along. If bulky items are something you need to avoid when packing, it’s always good to check what is available at the place you are staying. Many hotels, resorts or B&B’s are now providing towels (both bathing and beach), hairdryers, and a variety of toiletries. Avoid having to bring them along by enquiring about what is there before you pack. If there aren’t toiletries available where you’re staying, the best thing to do is to transfer large bottles of shampoo or conditioner into smaller, more portable bottles. These bottles will help save space, and will only have you bringing along as much as you need. Seal the bottles with a piece of cling wrap or a plastic bag between the open top and the lid, and you’ll reduce the chance of spillages too! Shoes are some of the bulkiest items to pack, so make use of the space they take up and pack them full of underwear. This both stops the shoes from getting squashed or losing their shape while packed into a case, and provides a space to store underwear. Spare underwear left over that won’t fit into shoes can be slipped into any small spaces left between clothes to fill in the gaps. Shoes are also the dirtiest things you’ll pack on the way out to your holiday (we can’t say the same for the way back with the dirty washing!) so it’s important to keep them away from the lovely clean clothes they’ll be sharing a case with. The best way to do this is by storing them in either plastic or fabric bags, depending how fancy you’re feeling, to keep the dirty soles away from the rest of the contents. This may seem quite a self-explanatory point but it’s amazing how many sections of bags don’t get used because of packing habits. Don’t leave sections empty – even the smallest pockets can be helpful for storing jewellery or other small items. Also, don’t forget that the elasticated straps that go across your luggage can be fantastic for ensuring that it doesn’t all fall around during transit and destroy all your perfect packing. At Titan Storage, we know it’s tempting to take all your most treasured belongings with you when you go away, but it’s not always possible- or convenient! If you’re interested in putting your valuable belongings into storage while you’re on you travels, get a quote today!